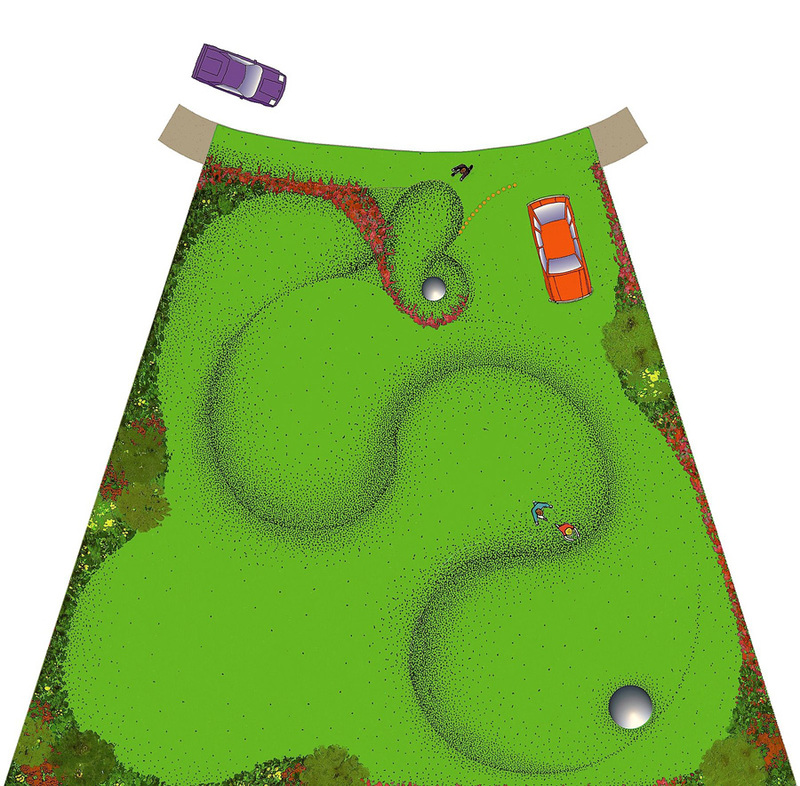 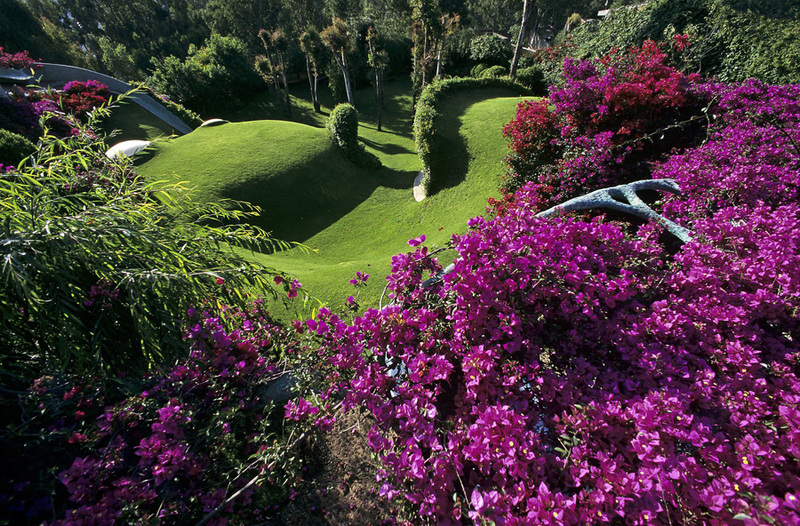 “To take a walk in the garden is to walk over the roof of the house itself without even realizing it,” says Senosiain. 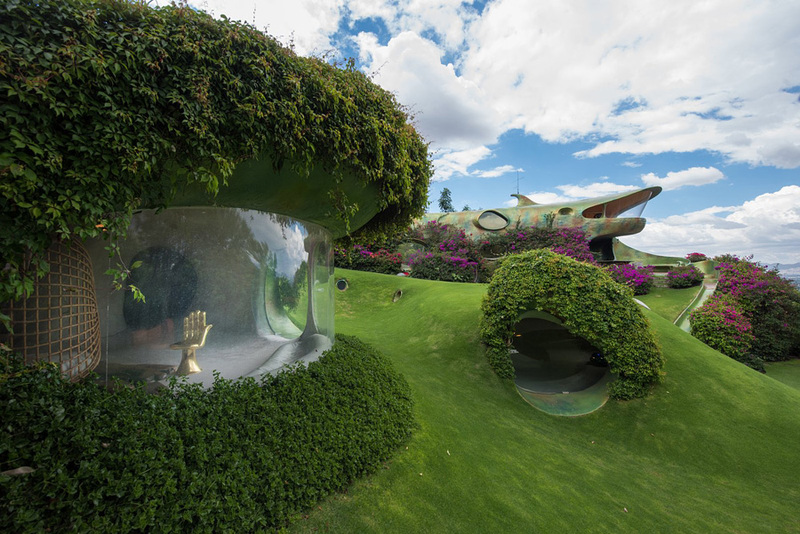 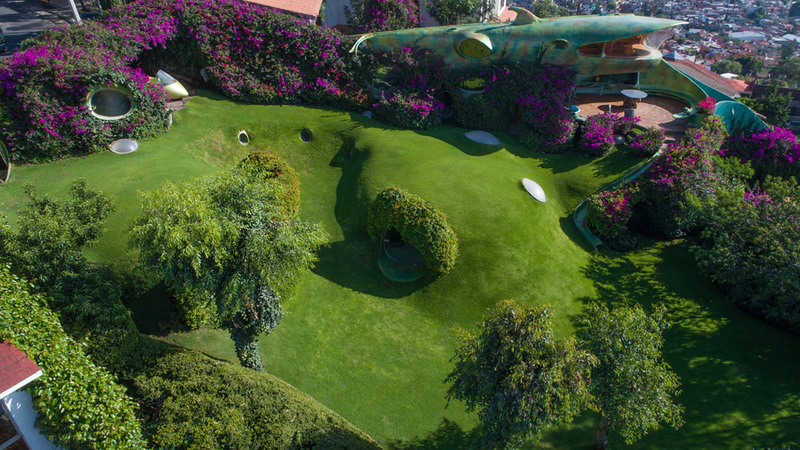 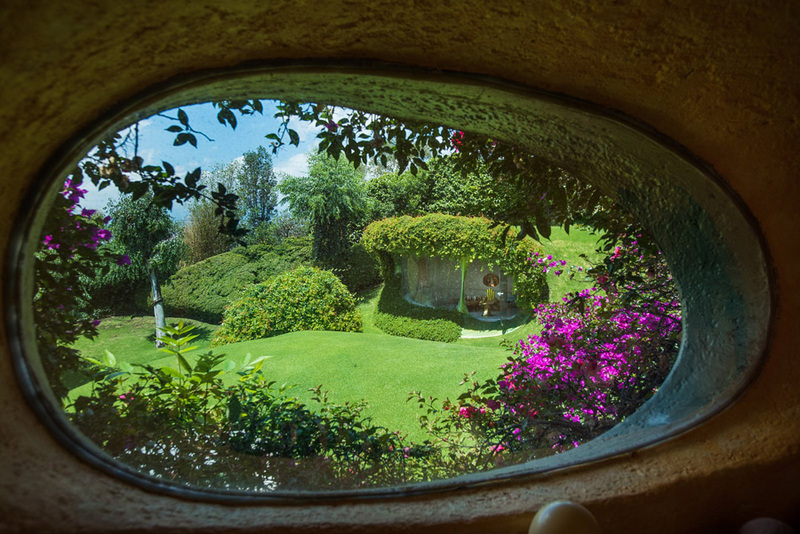 The Mexican architect is well known for his organic architecture – to date, he has built houses inspired by the shape of a snake, a shark, a flower, and a mushroom. 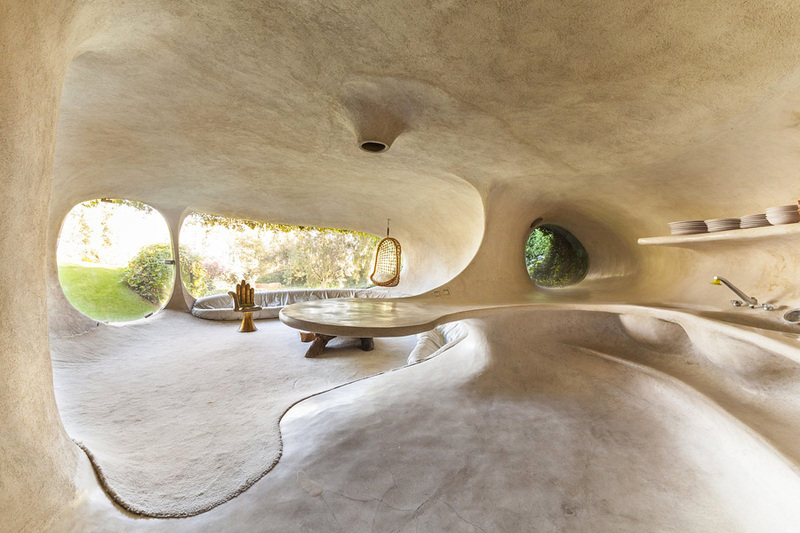 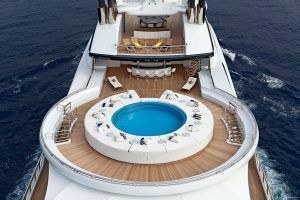 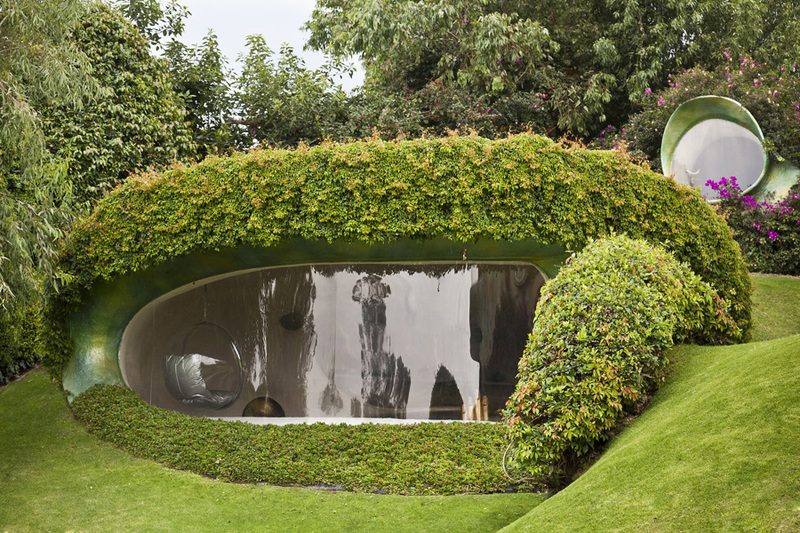 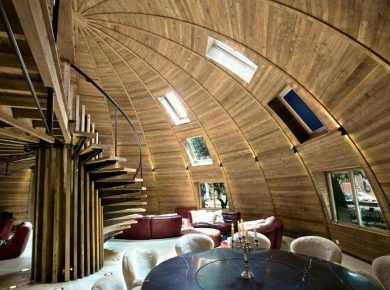 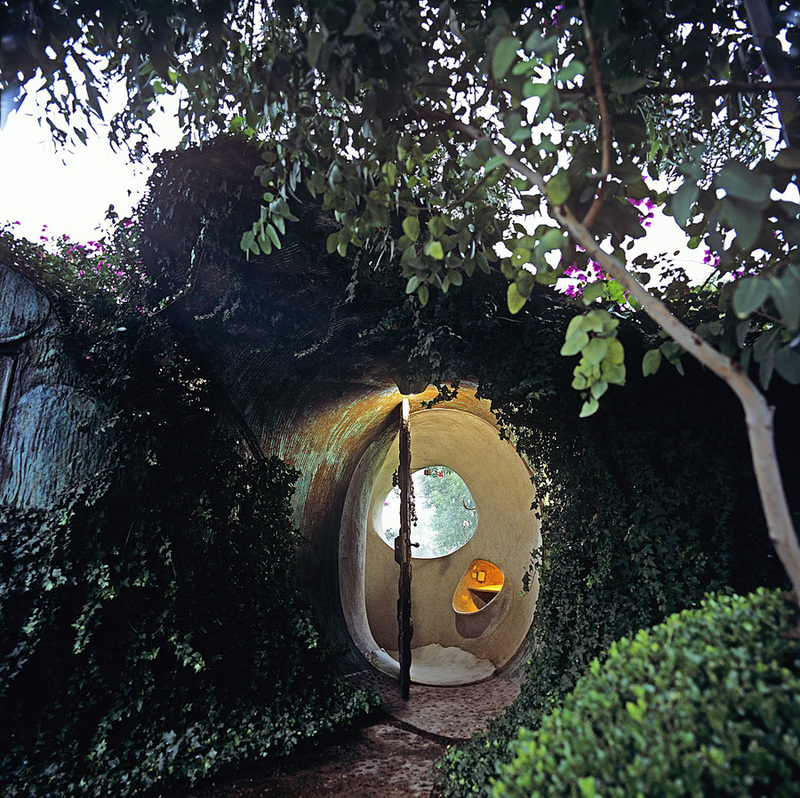 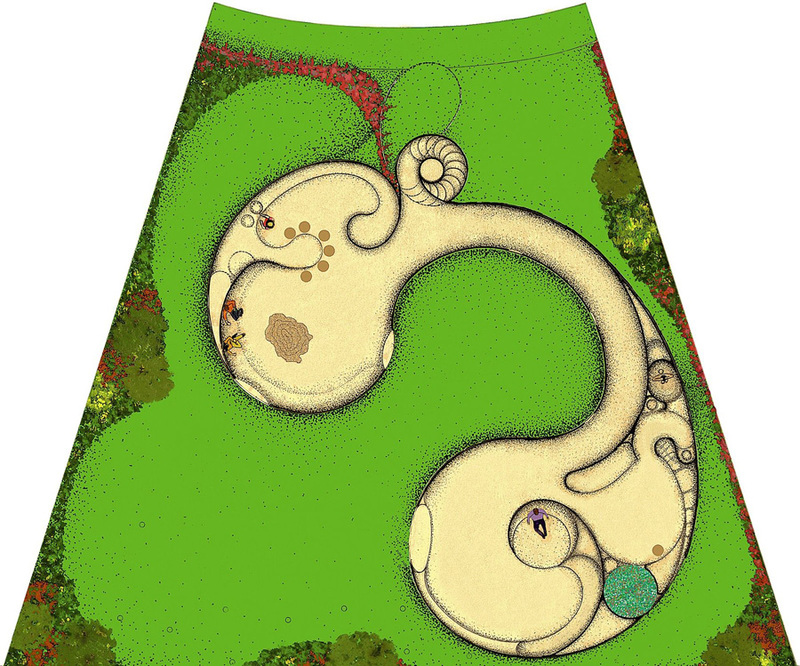 Modeled after the shape of a peanut shell, the house is composed of two cavernous oval spaces connected by a narrow passageway. 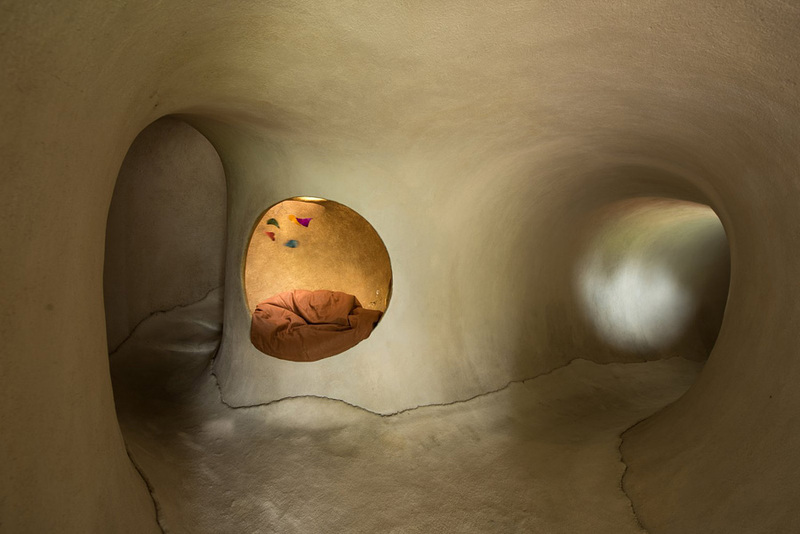 One chamber contains the private areas, which are used mainly at night, while the brighter chamber contains the social areas. 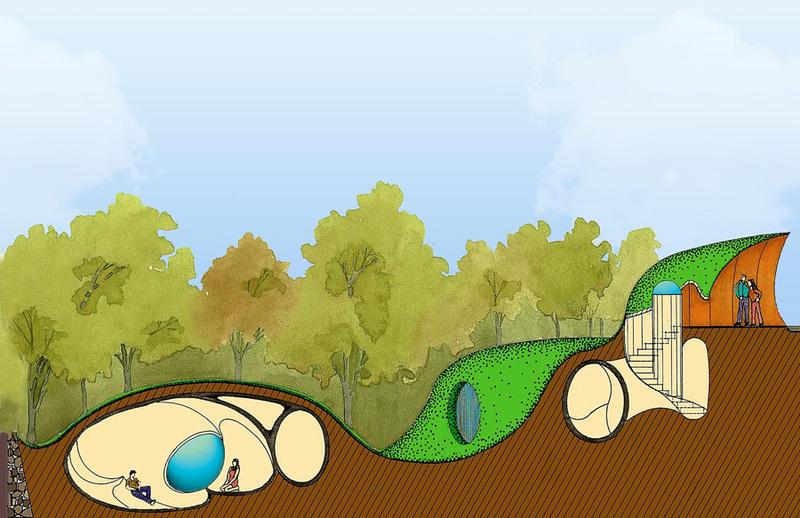 Taking into consideration the impact of bioclimatic conditions on inhabitants’ physical and psychological well-being, Senosiain used trees and bushes to create green barriers that filter harsh sunlight, keep the interiors cool, and protect the house from dust and noise pollution. 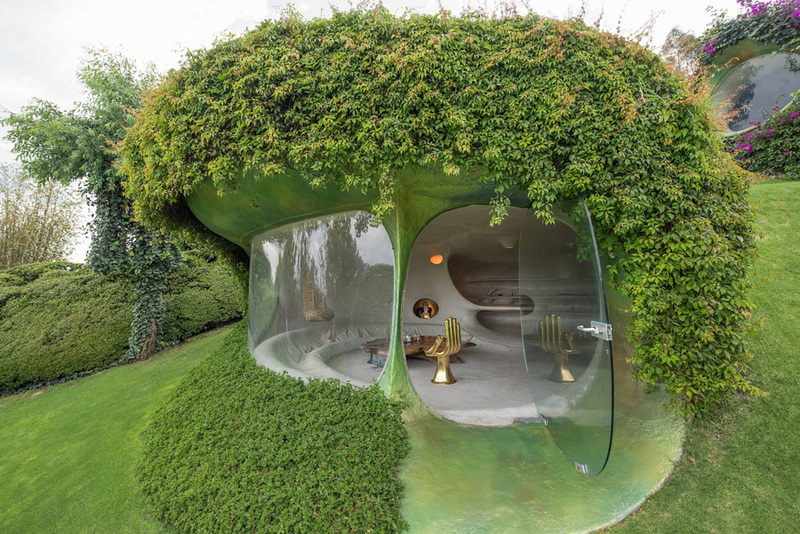 The Organic House’s grassy green roof protects against heat and cold to maintain a comfortable interior temperature. 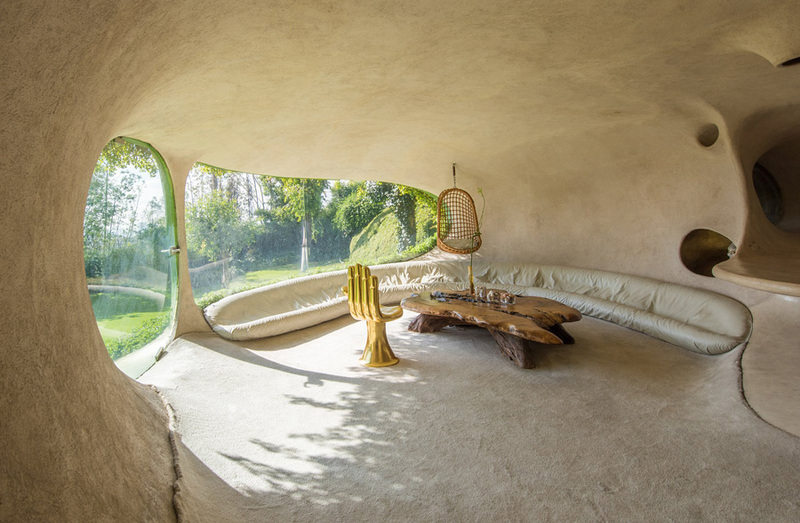 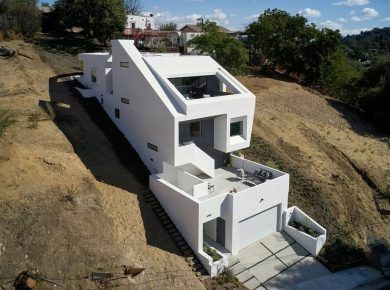 “This semi-buried house turned out to be sunnier and brighter than conventional houses because the windows can be placed anywhere, and the domes allow the entrance of sunlight from above. 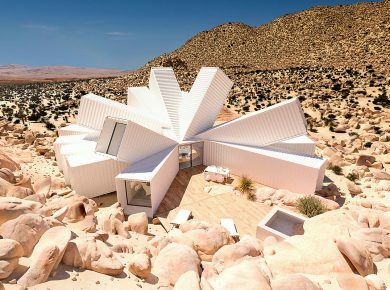 Ventilation is facilitated by the aerodynamic form of the dwelling, which allows free circulation of air throughout,” says Senosiain. 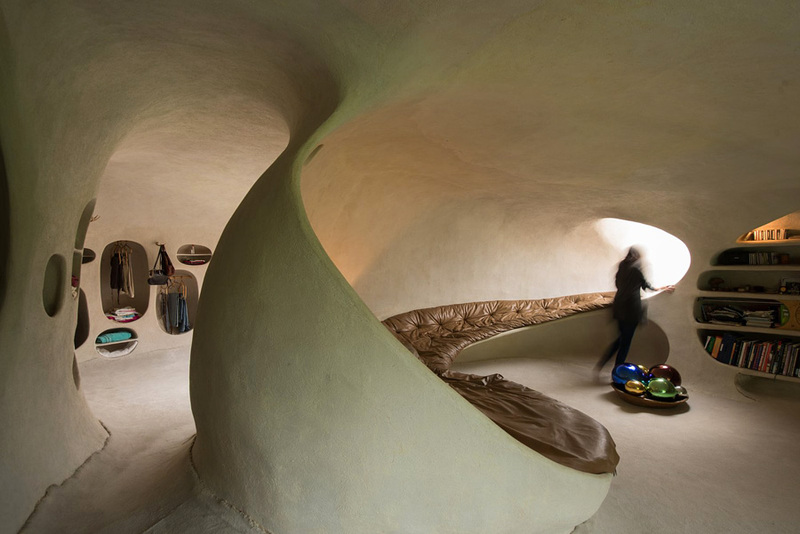 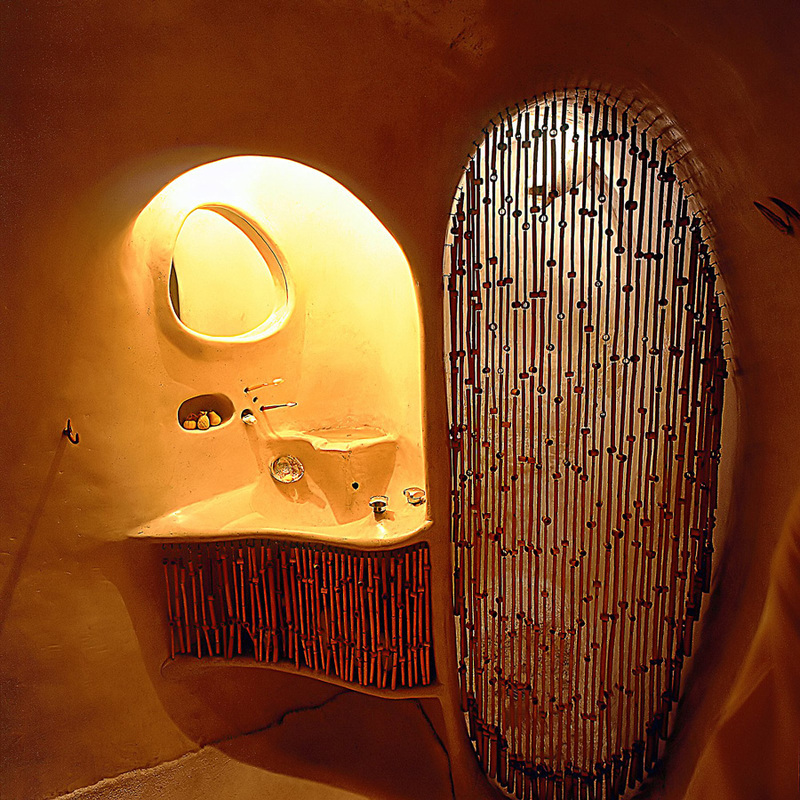 The architect sought to create spaces adaptable to the human body, “similar to the womb, an animal’s lair, the troglodytes who carved a niche for themselves out of the earth, and the igloo,” he adds. 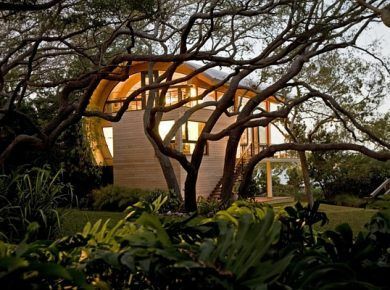 Also we recommend you to check our list of 15 modern tiny houses.